Preview all mailbox items, such as email, contact, calendar, note, & task etc. *Download the free trial version to preview the Mailbox items. 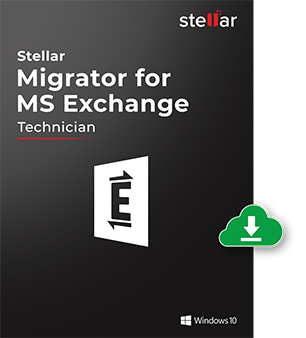 This powerful Exchange migrator enables you to directly export all the listed mailboxes to Recipient MS Exchange server. In order to migrate mailboxes, you must have credentials of an Impersonate user account on the Donor Exchange server and an Administrator profile on Recipient Exchange. To initiate the migration process, first login your Donor Exchange server with Impersonate user account and Recipient Exchange server with Administrator account. 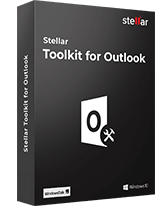 Stellar Migrator for Exchange facilitates you to export Exchange Server mailboxes to PST at a specified location on the local system, which can be imported to MS Outlook directly. All you need to do is just connect the software with Donor Exchange server by simply entering login credentials and export the listed mailboxes to the local system in PST format along with all the items such as mails, tasks, sent Items, attachments, folders, notes, calendars, etc. With its advanced preview facility, you can verify the content of all migrated items before saving them at any desired location. Select any folder from the listed mailbox items and preview the data to ensure the accuracy of migrated items. In addition to PST, the exchange migrator enables you to save the listed mails individually in MSG, EML, HTML, RTF and PDF formats as well. You just need to right-click on any individual mails and save the selected mails in any of these formats. While exporting mailboxes to Recipient Server, all the mailboxes of Donor Exchange will be displayed in the main interface along with their respective mail IDs. You can preview these listed mailboxes & mail IDs and map them either by their name or mail IDs. Additionally, you can also map these recipient mailboxes manually by selecting respective icon under Map Manually column. 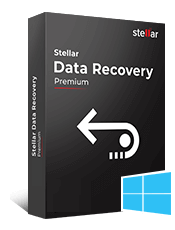 Stellar Migrator for Exchange offers you an extremely simple and interactive user interface that makes all the features easy to operate. 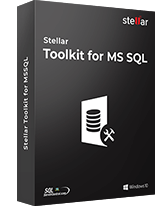 No matter how large sized your Exchange Server database is, this software could easily carry out all the migration operations and export the mailbox to another Exchange server easily. 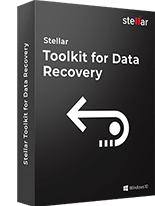 To explain the complete process in a better way Stellar Migrator for Exchange generates Log reports for the entire migration process. 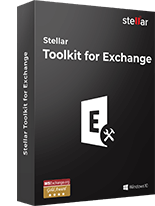 This report makes you understand the whole migration process at a later stage and includes list of all the steps you have taken to migrate one Exchange mailbox to other using Stellar Exchange migration software. The software is compatible with MS Exchange Server version 2013 / 2010 and MS Outlook version 2013 / 2010. The supported Windows versions are 10 / 8.1 / 8 / 7 / and Windows Server 2008 / 2012. Can I migrate mailboxes with demo version as well? Demo version lets you scan and preview the Mailbox items. In order to initiate the migration process you need to purchase and register the full version of the software. What is the need of exporting PST files? There could be multiple scenarios where you need to export PST files. In case you want to take backup of some selected mailboxes before removing them from exchange server then this tool can be used to export selected mailboxes and convert into PST. To check the mail of user first you need to export the PST file and then open the exported PST in Outlook. To take simple backup of selective Exchange mailboxes you can export them into PST and save the file as a backup. The MS Exchange server from where you select the mailboxes to export known as Donor Exchange and the destination server where all these mailboxes are exported known as Recipient Exchange server. How many Impersonate User & Impersonate profiles should be there to migrate mailboxes? You must have credentials of one Impersonate User on Donor Exchange Server along with one Impersonate Profile of Donor and Administrator Profile of Recipient Exchange configured on your local machine. What are the steps to connect the mailboxes with Software? In order to connect the disconnected mailboxes you need to assign Full Access Rights to the Donor Exchange user. "Adam" symbolizes the Impersonate User who has the Impersonation rights and "Bob" symbolizes Donor Exchange user. I'm getting some error messages while trying to activate the software, what to do next? If the software is generating error messages and is not getting installed correctly, then you need to start Crypkey service, which might have stopped currently. Follow the given steps to start Crypkey service. Go to Control Panel -> Administrative Tools ->Services. Right click Crypkey License and select Start button. After starting the Crypkey Service, try to activate the software.